Okay, the truth will out! 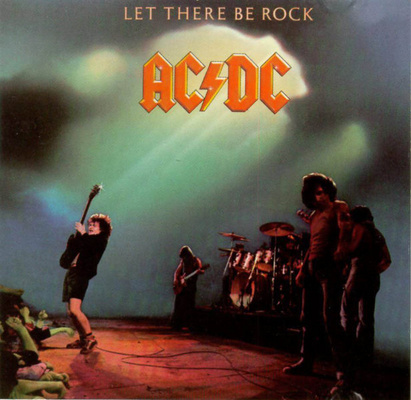 Let There Be Rock by AC/DC. I'll tell you why - it’s the only metal album that all the punks used to play. Every punk loved this album but it was metal, so it went beyond genre because it was so bloody good and there’s no pretentiousness about AC/DC. I love ‘em! [shouts] I love AC/DC! I’m a massive, massive fan, I just adore the band. I actually go and see them. Last time was 2003 with Rammstein supporting. They didn’t have all the lights then ‘cos they were supporting, I guess AC/DC said, ‘You can have a few little firecrackers but not many’, so it was interesting to see them like that. And that’s why I like AC/DC, they don’t really rely on lights and things like that.